Essential, the startup from Android co-founder Andy Rubin, announced its first smartphone earlier today. The new company didn’t stop there, however, as it also introduced an intelligent home assistant called the Essential Home. The device, powered by Essential’s Ambient OS, is similar in concept to products like Amazon Echo and Google Home, allowing users to gather information, play music, control connected lights, set times and more with ease. Essential says it is focused on delivering a home assistant that you’ll actually be proud to display in your home as there are “no boxes, tubes or strange lights” to contend with. 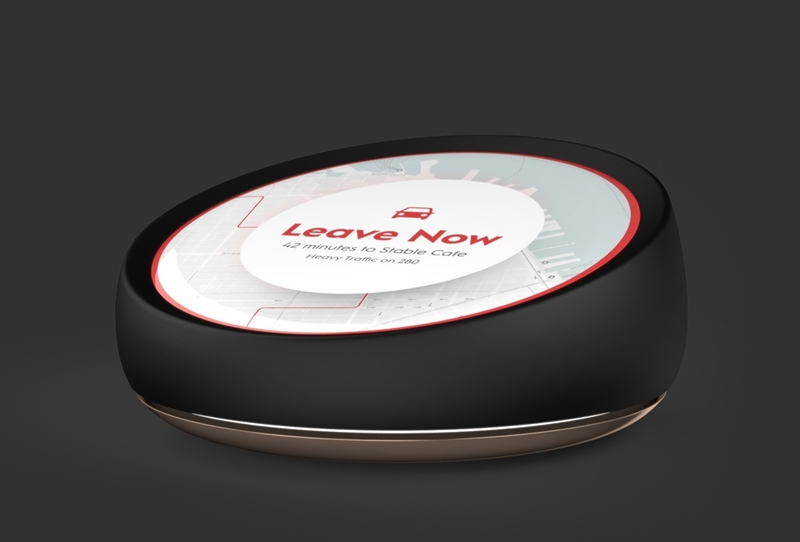 The puck-shaped gizmo, which loosely resembles a Nest thermostat, features a sizable, interactive display although you can also interface with it using your voice (or even simply by glancing at it). The Essential Home can also proactively help you manage your life. For example, it can notify you if you need to leave the house early to make an important meeting or if you’re on the verge of forgetting your anniversary. Google said at its recent I/O conference that similar functionality is heading to Google Home. Dwipal Desai, business unit lead for Home devices at Essential, points out that Essential Home is designed to perform most tasks locally over your in-home network (whenever possible) so your “data stays in your home where it belongs” versus pushing everything out to the cloud. The Essential Home intelligent assistant is expected to ship later this year. Pricing and additional details are pending.